We’re still in the Hudson Bay. As we sit in the fog, waiting for unclear plans that have nothing to do with our original research plan (or possibly for Godot, at this point), it would be disingenuous to pretend that the mood on board isn’t frustrated and restless. 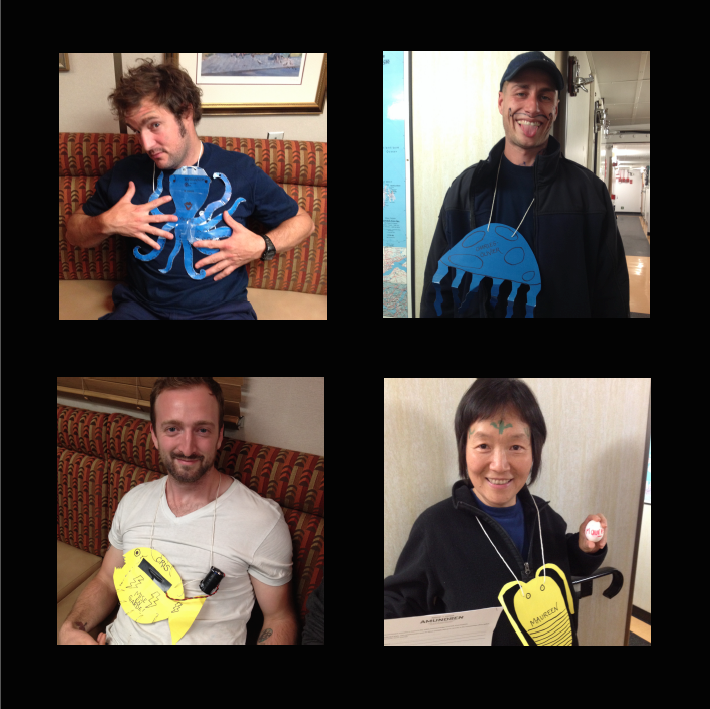 Several of the Principal Investigators on board – Drs. François, Cullen, and Tortell – have written an editorial in the Globe and Mail about our situation here. Our view for the past bit. However, we’ve had no trouble finding ways to occupy our time. 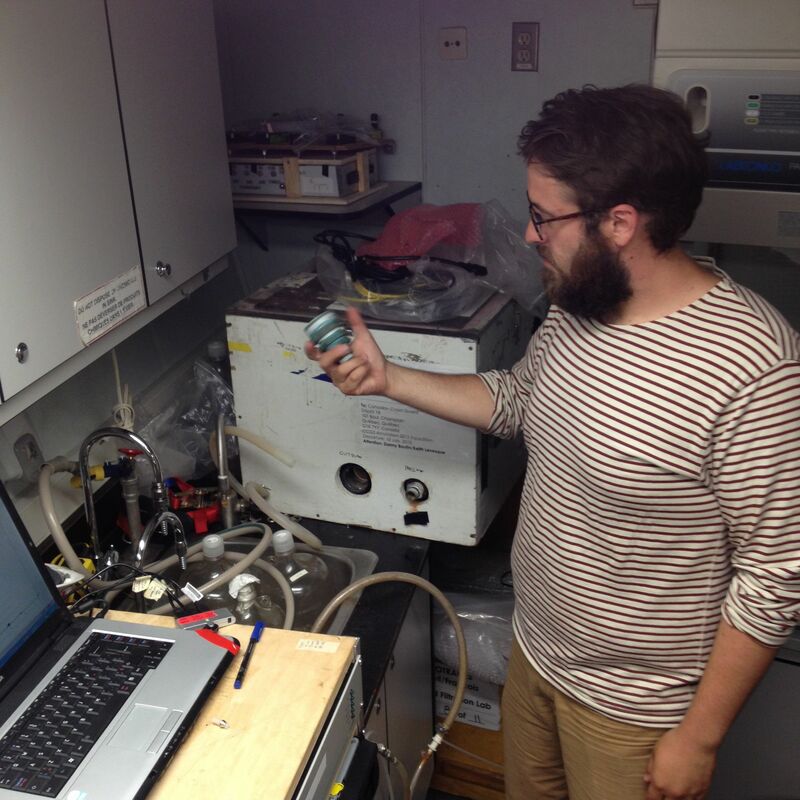 The ocean acidification experiments are still running. Personally, I’ve spent plenty of hours with my robot, trying to get him calibrated and communicative, which can be tricky as the ship jerks in ice. 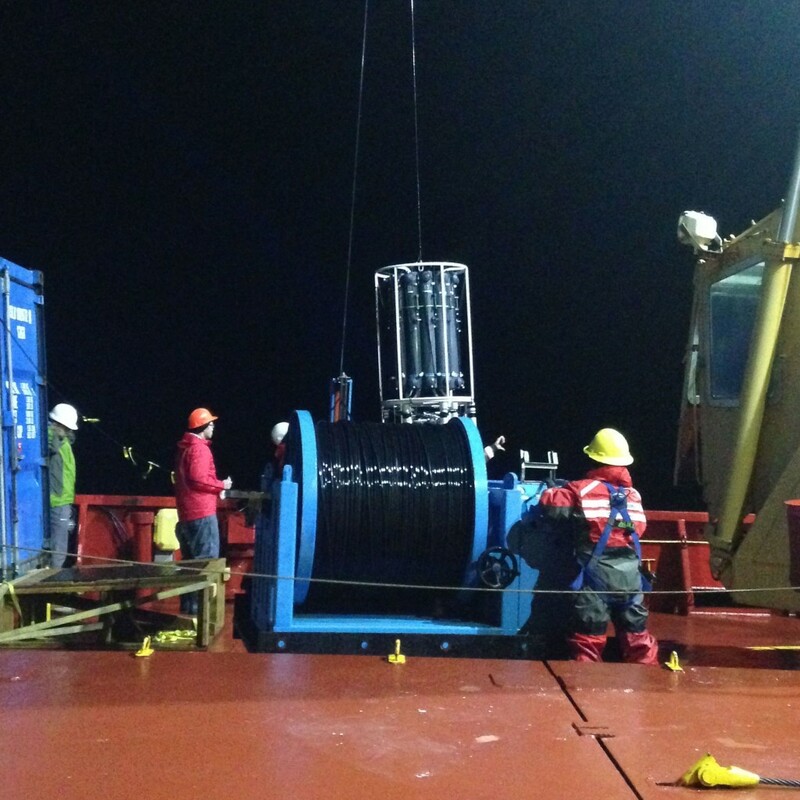 The nightly science meetings, which were previously completely taken over by very complicated logistics, have begun to include talks given by the researchers on board, which have been diverse in scope and very interesting. 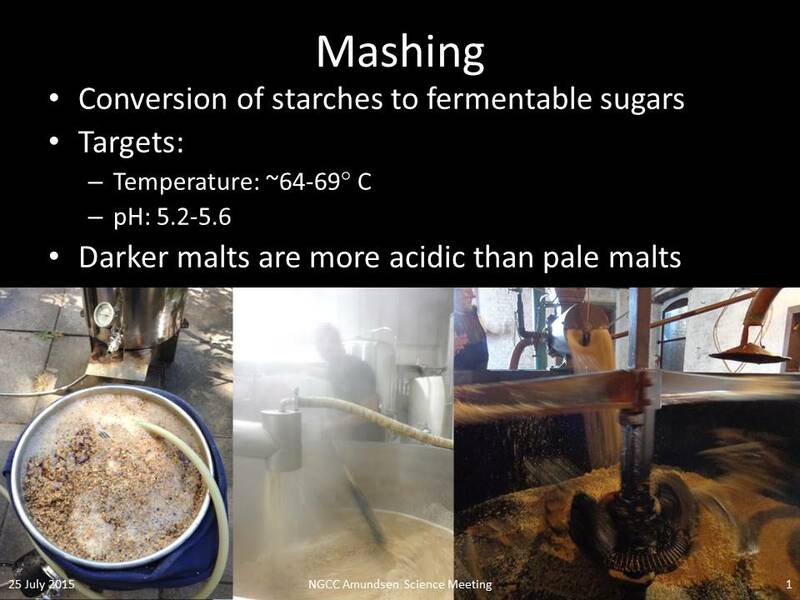 Thanks to them, we’ve learned about things like arctic cod speciation, the use of sonar to detect fish stocks, primary productivity patterns in the Labrador Sea, climate-active gasses in the Arctic, and, in one memorable instance, when the speaker was a master brewer, the biogeochemistry of beer. 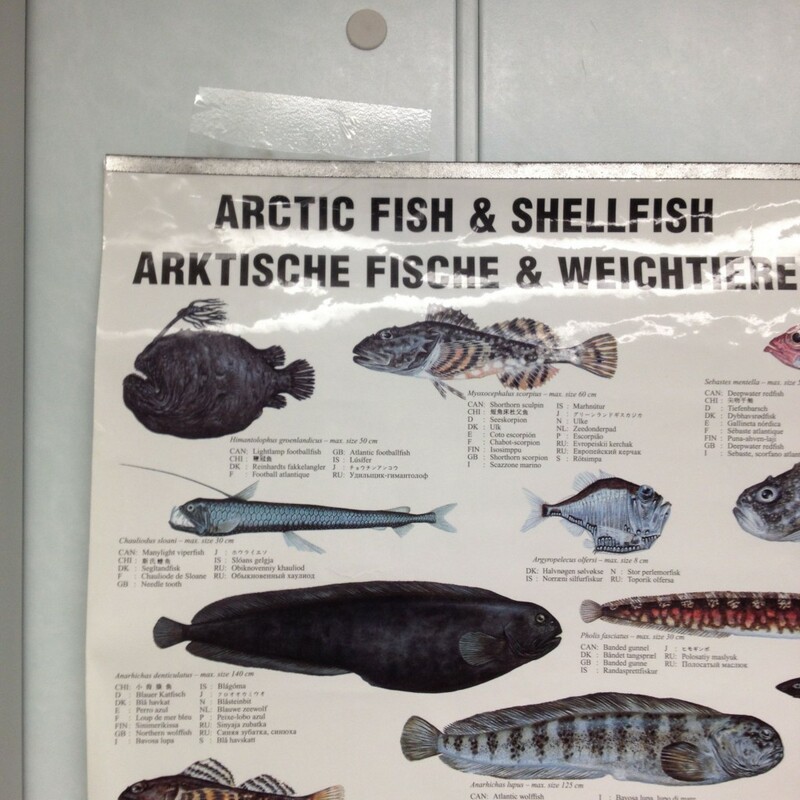 A poster describing biodiversity of Arctic fish. The Lightlamp footballfish looks decidedly grumpy. 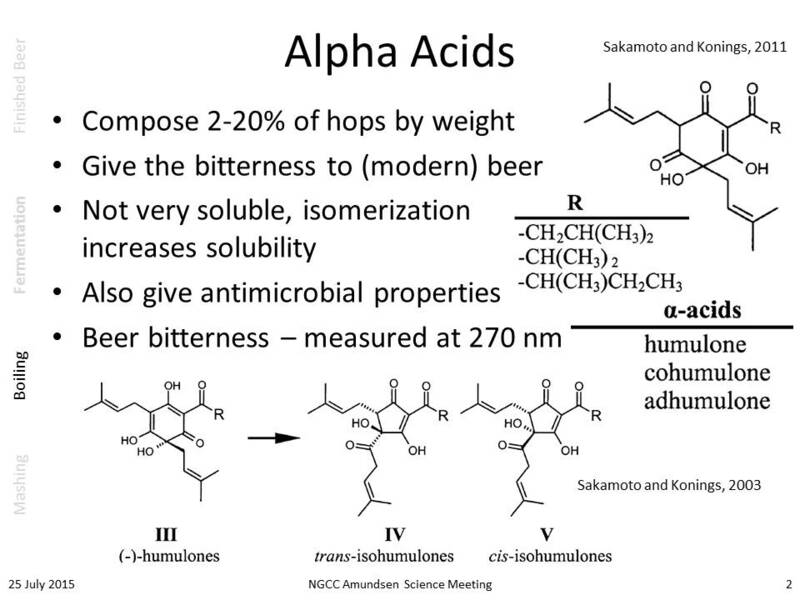 Slides from David Janssen’s “Biogeochemistry of Beer” presentation. There is a cribbage tournament, and as of this writing, I’m losing my first match. 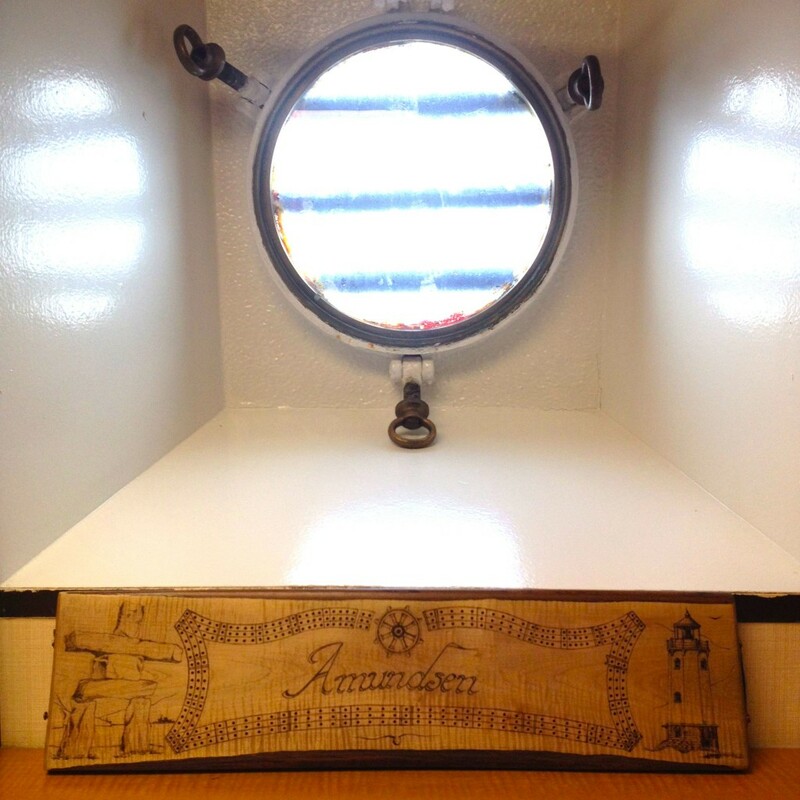 The Amundsen’s cribbage board, engraved by a cadet who sailed on it once. Over the past few days, I’ve also been thinking about language dynamic on board. 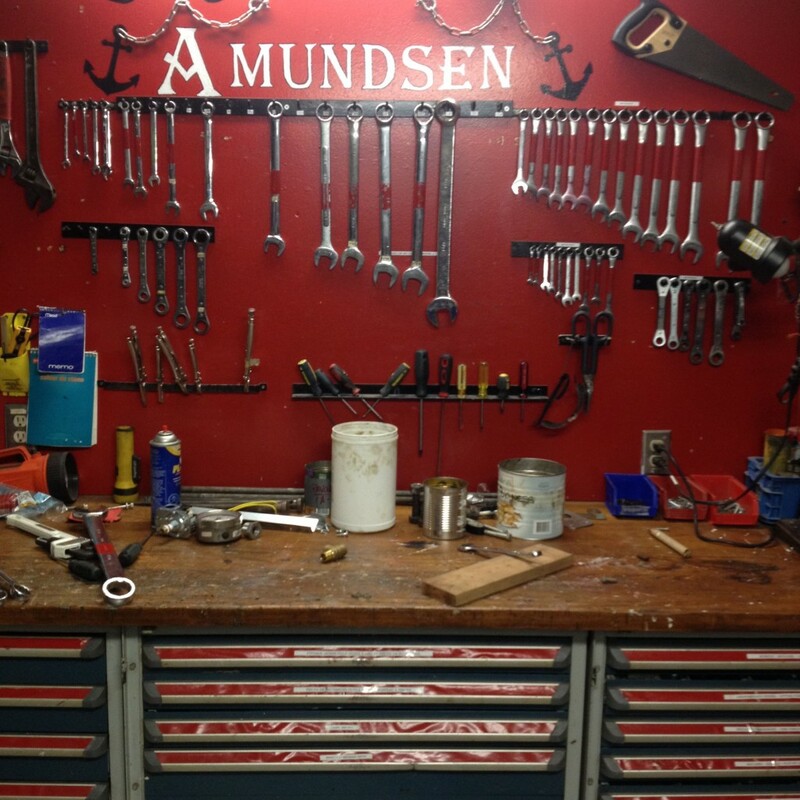 Depending how you look at it, the Amundsen is a ship of either one, two, or upwards of eight languages. The captain and crew, as well as many of the scientists, are francophone, and much of the everyday business on board takes place in French. Because most scientists want to be able to effectively communicate their research to other scientists and to the public (and because English is the main language of communication in the modern international scientific community) the scientists on board are all proficient in English. However, many of the non-francophone scientists are allophone (their primary language is neither English nor French), and many of the English speakers don’t speak French, while many of the crew don’t speak English. Language shapes how we see the world, and so people are coming together on board the Amundsen from very different lenses of experience. It’s remarkable to see people from around the world come to a 70-metre ship and live and work alongside each other, and it’s a privilege to see Canadian, Québecois and international perspectives interacting in our little community in the middle of the Hudson Bay. The spirit of international camaraderie is quite heartening to experience. As an immigrant to Canada, I am keenly aware of how positive – and, sadly, in many places rare – such a dynamic is, and I don’t take it for granted. Because of the number of languages on board, some of us have spent some time learning various expressions from each others’ languages. This is how we’ve discovered sollbruchstelle – a German word meaning “place where something is bound to break”. For people who work with fragile instruments – most people here have been doing so far longer than I have – it’s a uniquely descriptive one for certain situations. Meanwhile, the fog gets thicker as we near nighttime. Dr. Cullen fixing a trace metal rosette. 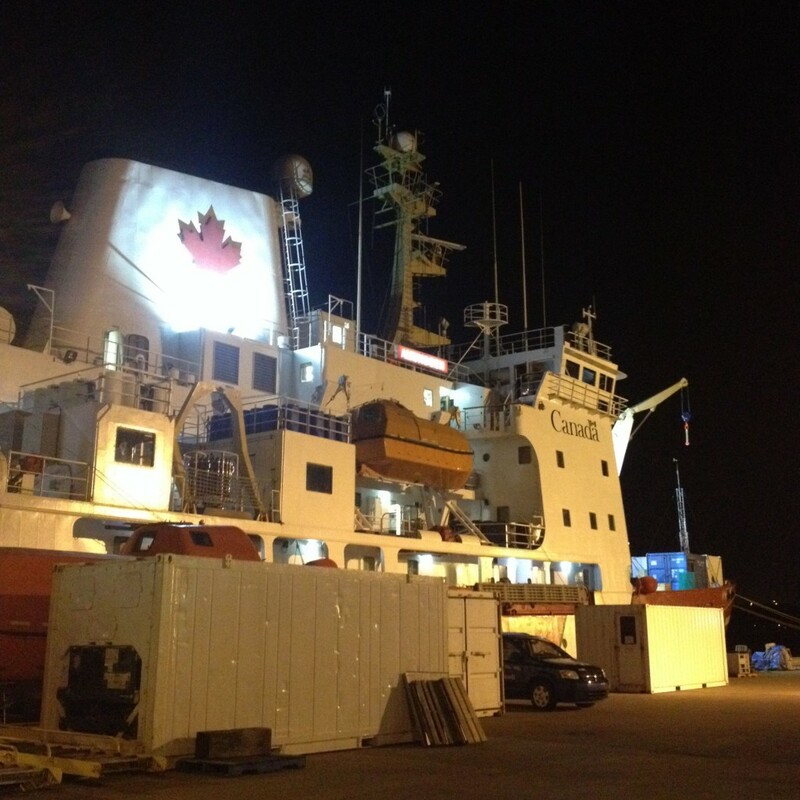 One of the exciting things about the Amundsen expedition is that it brings together scientists from around Canada and the world to do research together. 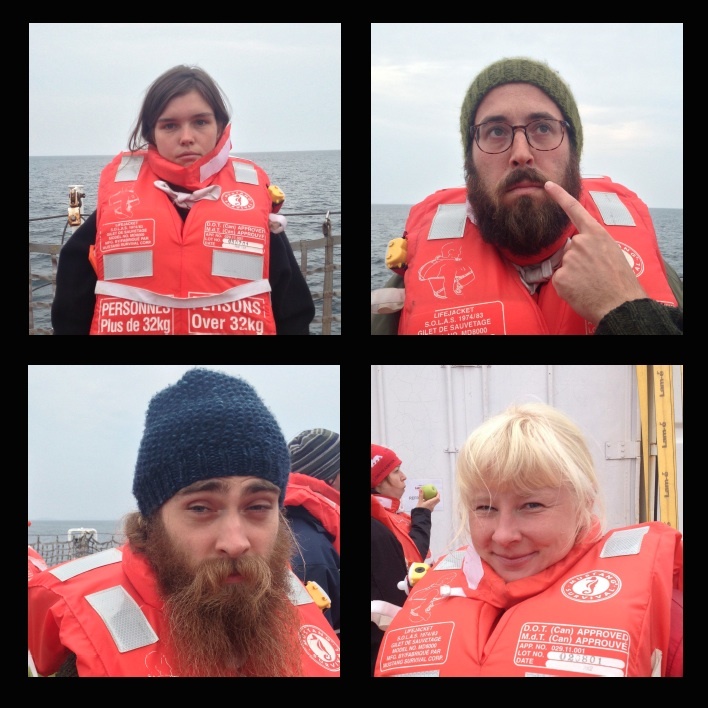 On the blog, we’re going to be interviewing some of them to hear them talk about their work here on the Amundsen. Today we’re going to be speaking to Dr. Jay Cullen. 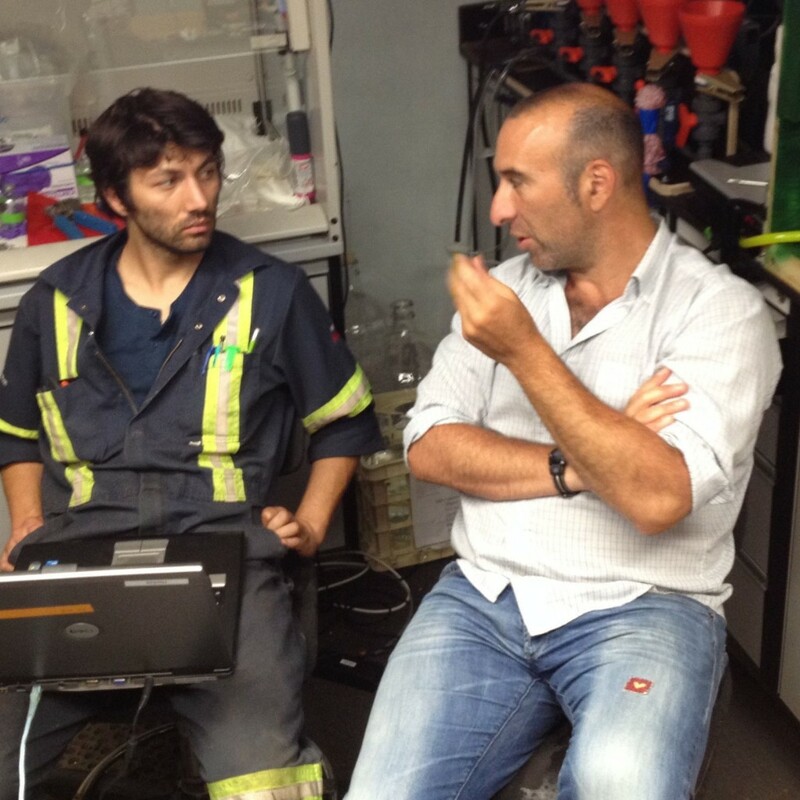 Jay is a professor at the University of Victoria, where he heads the Cullen Lab, which does research on trace metals in the ocean. So Jay, broadly, could you tell us what the focus of your research is? The focus of my research is to understand how the chemical forms that metal elements take in seawater affect their behaviour. For example, metals that are important nutrients for microbes that grow in the ocean, like iron or copper, and the chemical form that they take determines whether or not they’re accessible to the phytoplankton, and similarly, if toxic metals like lead or cadmium at significant concentrations take different chemical forms, they’re more or less likely to affect organisms in a negative way. How would you say your work impacts the public, or, what’s the larger significance of your work? The direct significance of my research to the public lies in the importance of the oceans for moderating greenhouse gas concentrations on shorter and longer timescales and how that affects climate. So because algae, at the base of the marine food web, take up inorganic carbon and act to sequester it from the atmosphere and concentrate more of it in the ocean, but also because they can produce different sorts of greenhouse gasses, understanding what controls how much production -how much they grow -and the species composition that can affect things like greenhouse gas production ultimately depends on nutrient availability. So my research is looking to understand how some of these metal nutrients can affect their growth. Also, some of the metals that I focus on serve as tracers of ocean mixing and ocean productivity over time, so understanding how they’re distributed in the ocean and what processes control those distributions are important if we’re to understand how they’ve changed in the past and how sedimentary records of these metals can inform us about how the oceans participated in past instances of climate change. So Jay, what’s your role in this particular GEOTRACES cruise? So our role in this project is twofold. My research group here at sea, during the expedition part of the project, is responsible for providing trace metal and trace element clean samples for the rest of the GEOTRACES group. 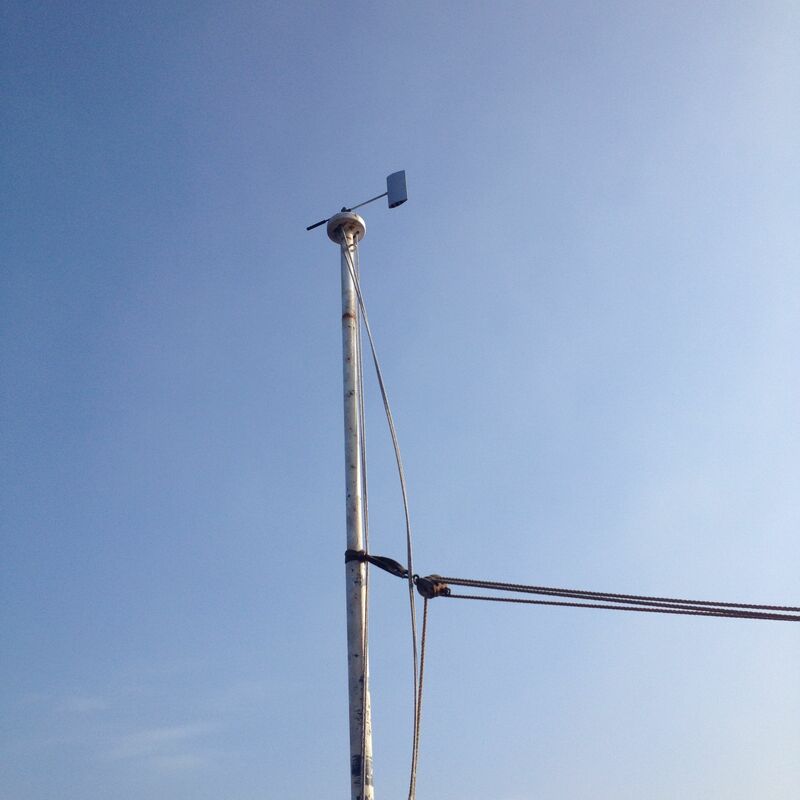 That involves deploying our trace metal clean rosette and filtering seawater samples and collecting other seawater samples for other members of the group. 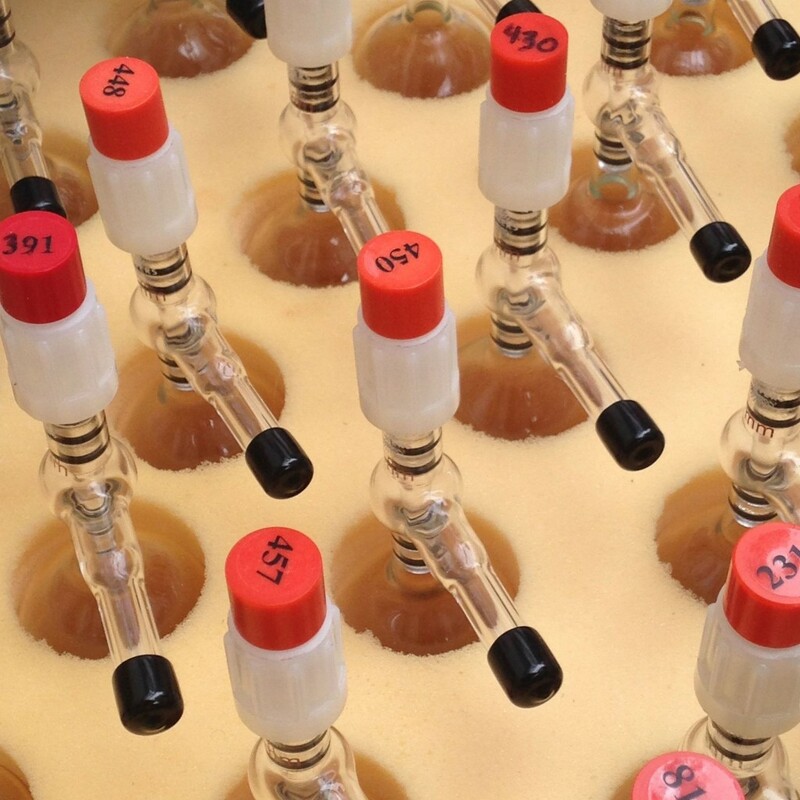 In terms of our scientific role, we’re making measurements of what are called bioactive trace elements. So these are metals, mostly in the transition row of the periodic table, that are again important for organisms as nutrients, or as potential toxins as well. 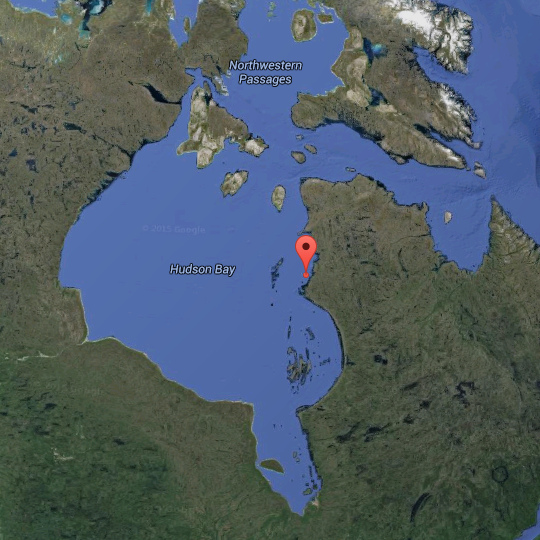 So why is specifically the Canadian Arctic a particularly interesting place to conduct your research? The Arctic, in particular, is interesting because the impacts of climate change are being measured and experienced right now. The sea ice is a great example – it’s been melting and coming off so that seasonal sea ice extent has been diminishing over the past number of decades. 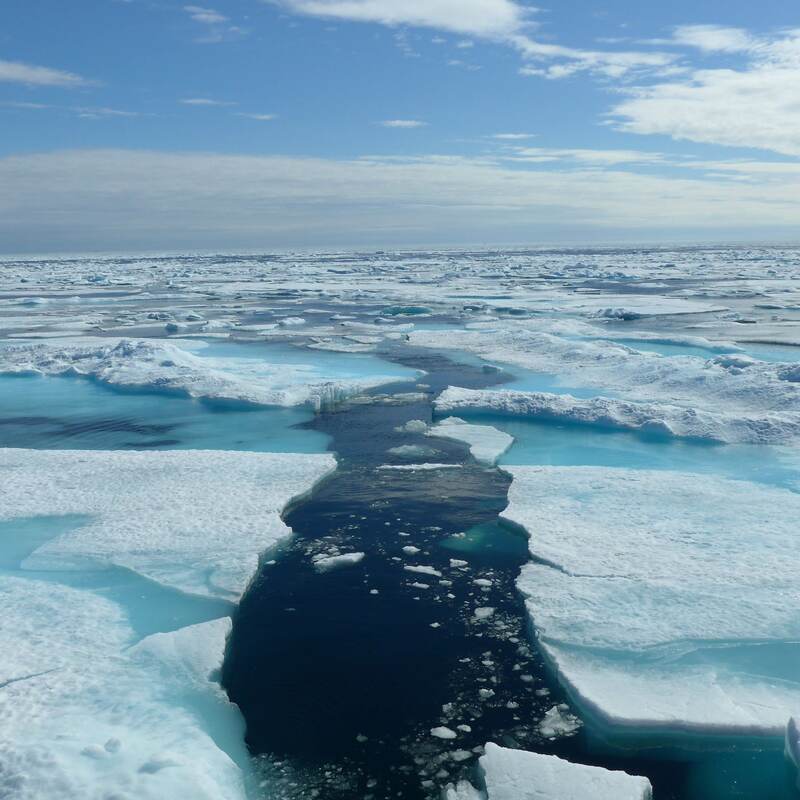 The fresh water that’s being added to the Arctic affects the Arctic circulation and stratification and all these physical changes are likely to have biological and chemical impacts as well, and I think that’s one of the reasons why we’re seeing climate change sort of first hand, and why going to the Canadian Arctic is an important part of our research. So now, speaking practically, how do you conduct your research in the field? 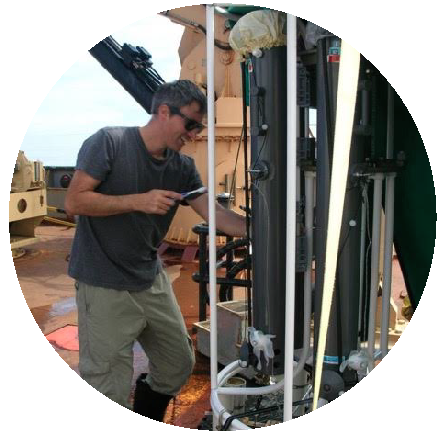 Research is challenging to conduct in the field, partly because we’re tasked with measuring these vanishingly low concentrations of some of these metals – their chemistry in seawater is such that there’s just not much of it there, on a very large metal ship, and so we’re surrounded by potential sources of contamination which can compromise our samples and therefore our results, and so we have to go to great lengths to keep our samples clean, so this involves using specialized equipment. But practically, we need to build clean environments within the body of the ship that keep particles and metals and grease and things from moving parts of the ship from contaminating our samples. For that research, what sort of special equipment do you use? We use a number of pieces of specialized equipment. Here to collect samples we use a water sampler that’s designed a little bit differently and uses special materials compared to a regular ship’s rosette, so we have an alumninium frame that’s powder coated to prevent contamination, a non-metallic sea cable that takes the instrument package over the side, and special bottles that are all plastic and teflon coated on the insides to make sure that our samples are clean. Just about everything that comes into contact with the samples and what we clothe ourselves with while we work is made of plastic to sort of limit that contamination. But I understand that a lot of plastic has trace amounts of metal. How do you deal with that? Well, almost everything we use needs to be thoroughly cleaned using very exacting protocols that have been established to remove this contamination. So we use a lot of detergent and a lot of mineral acids like hydrochloric acid to clean all these surfaces. In your years as a researcher, what have been some of the most interesting realizations you’ve made, or, say, discoveries? A lot of my work is focused on understanding a specific element in fact, cadmium, and how it behaves in the ocean. 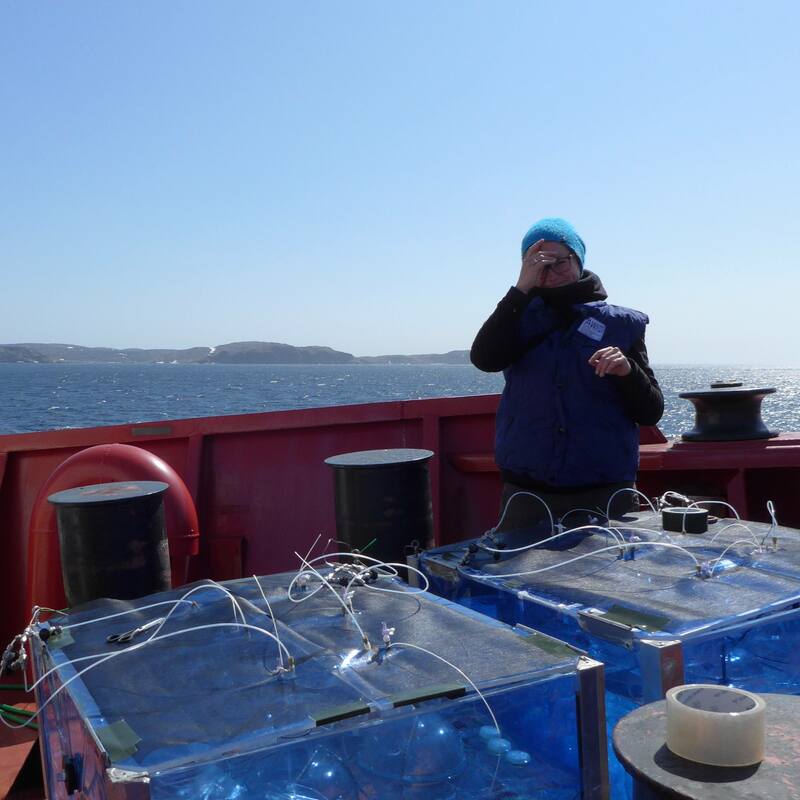 And this is because cadmium records in sediments help us to understand how the ocean’s changed in the past and how it contributes to modulating climate over time. And the work that I’ve been involved with with collaborating scientists has established that cadmium is removed from seawater by organisms. 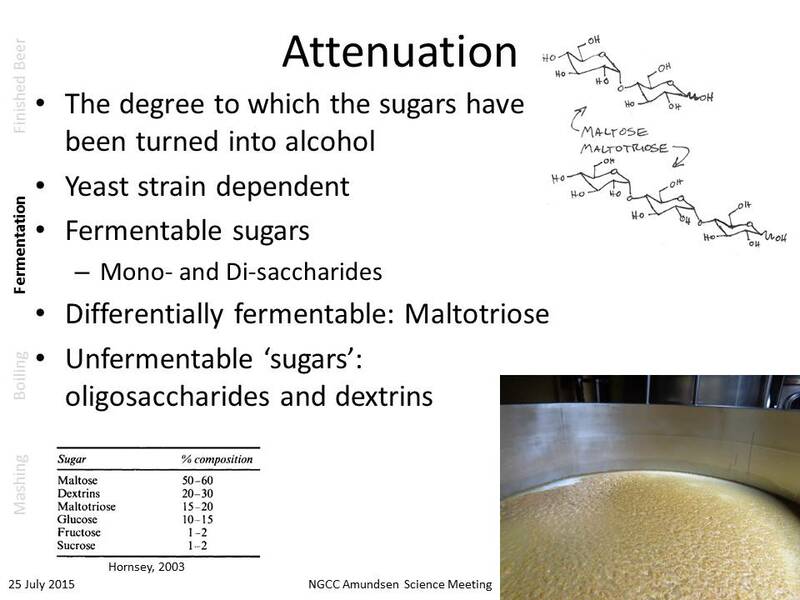 And certain organisms, diatoms, certain types of phytoplankton are able to use it as a nutrient element, whereas traditionally it’s been thought of as a toxin. So it was sort of a mystery, or somewhat confusing, that cadmium was distributed in the ocean like a nutrient despite having no nutrient function, and some of my work has contributed to helping understand why that’s the case. Is there anything else you’d like to talk about to our listeners today? Well, I think I’d just like to highlight the importance of having research platforms like the Amundsen, so an icebreaker that’s capable of going to the high Arctic, and going to these important areas where we see these examples of climate change and how we can improve our understanding by visiting these places and conducting the sort of work that the GEOTRACES program, that’s funded by NSERC, allows us to do. So the captain and crew of this ship are a fantastic resource and really help us to get work done at these high latitudes. It’s very challenging, and otherwise we simply wouldn’t be able to do it. Lastly, could you share an interesting or a strange fact about yourself? Well an interesting fact I suppose is that I grew up in a more landlocked part of Canada, and while there were lots of lakes and rivers around that I was really interested in growing up, I really didn’t see the ocean until I was about eight or nine years old, except in movies and books and atlases, but I new I liked it the moment I saw it. Thanks very much Jay, and good luck with your research. Today’s location. 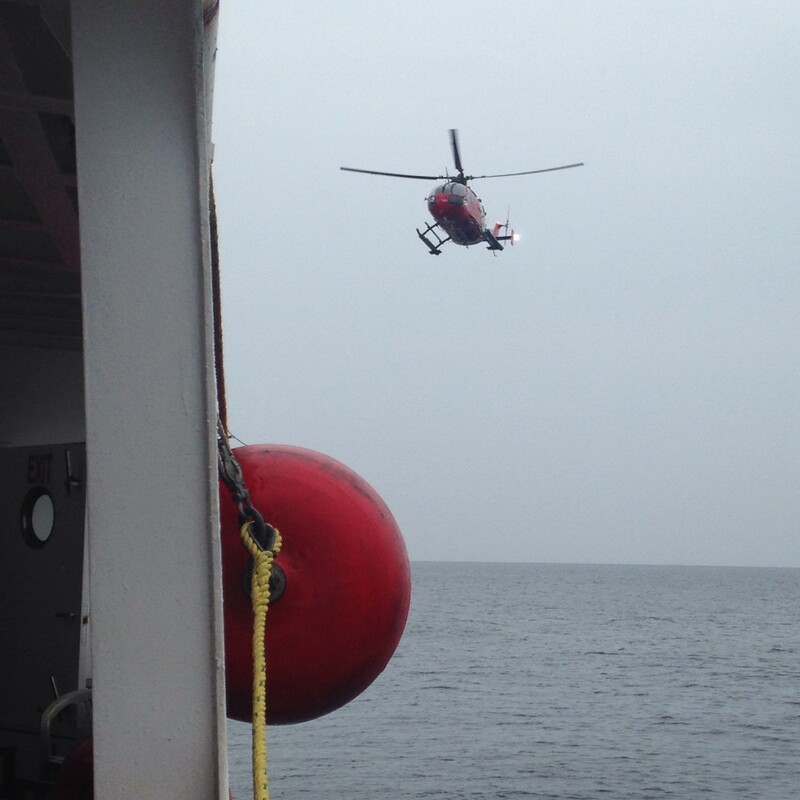 Still rescuing the trapped ships. Well, we’re well and truly in the ice now. 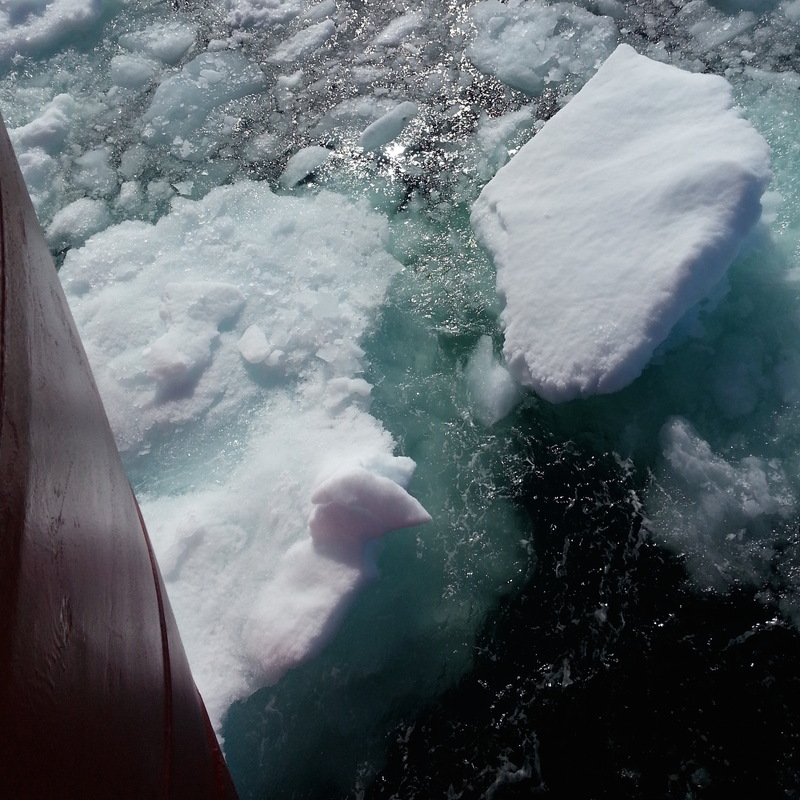 The noise that the prow of the ship makes when it breaks ice is a sort of deafening scraping, accompanied by unpredictable jerky movements. It’s fascinating to watch the smaller pieces of ice flip over when the ship hits them (the larger ones just get crushed). 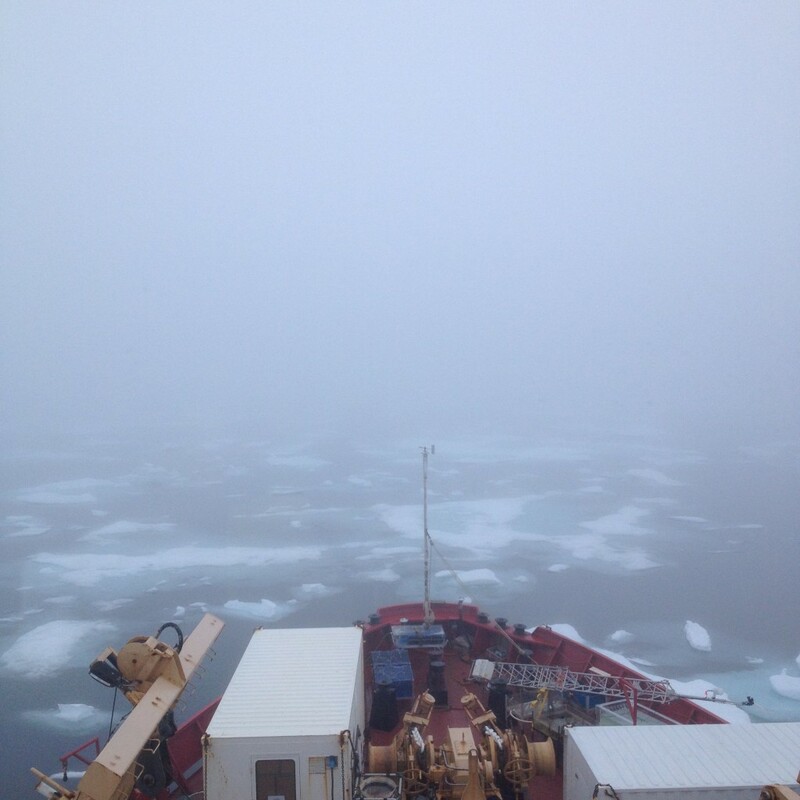 We’re still in the Hudson Bay, having escorted one ship and heading towards another (and the village of Inukjuak), and our scientific mission is still on hold. 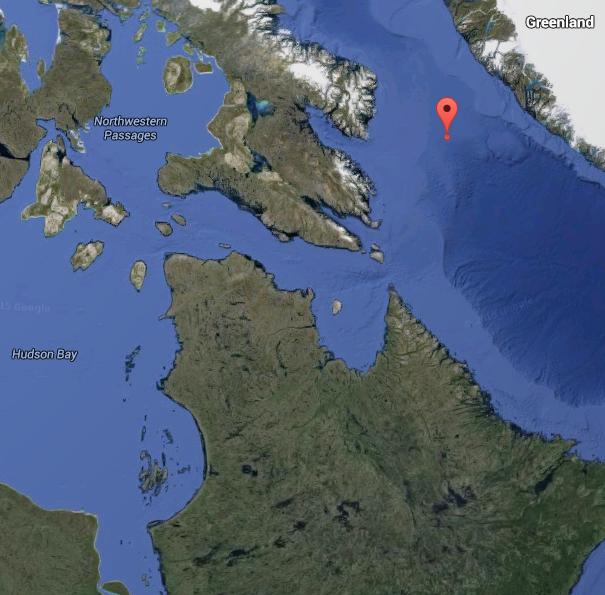 The Globe and Mail reported on the postponing of our science expedition here, with more context. Meanwhile, we are settling into the rhythm of life at sea. In the absence of science work, the amount of cribbage and darts played has gone up dramatically. I finally feel like I’ve mastered the espresso maker (even in cappuccino mode!). We read, both for fun and for work. We go for runs and stretch to fight cabin fever. 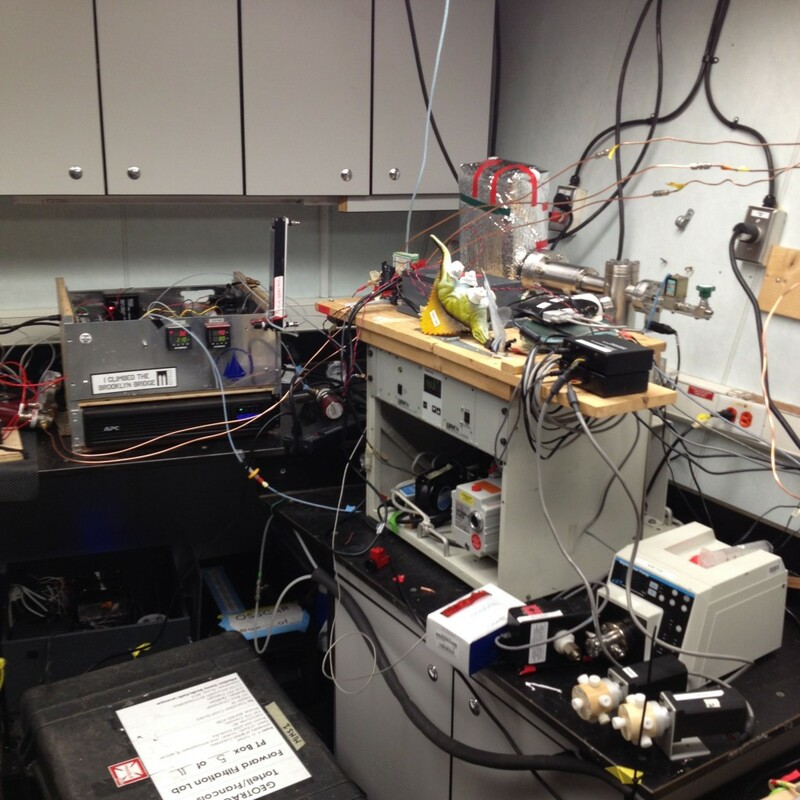 We make calibration curves, we process data, we write emails and proposals and papers. 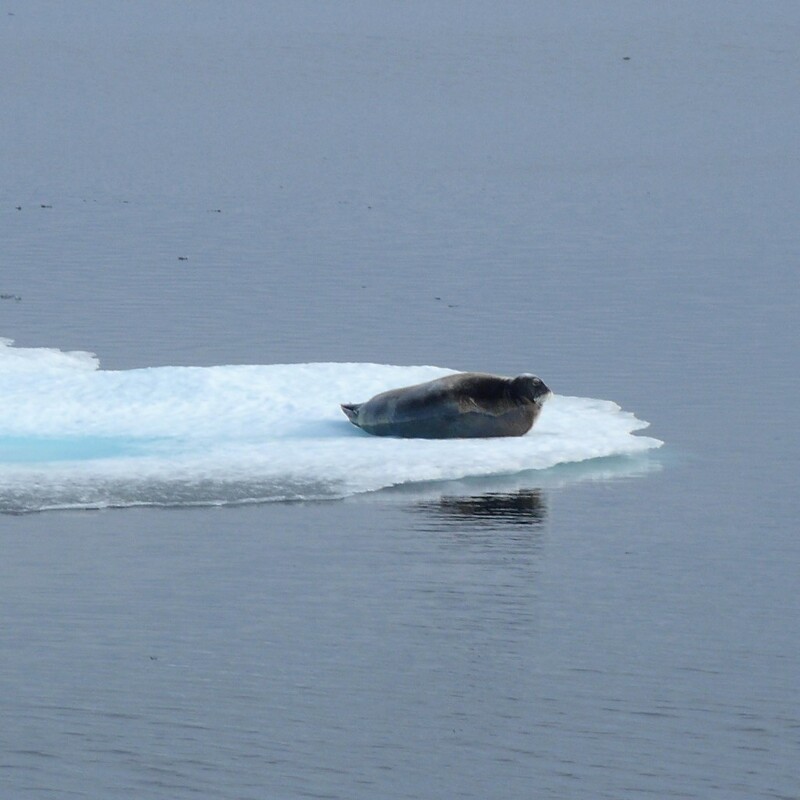 The scenery is, in a word, spectacular, but unchanging, so even as we move about, there are no landmarks to mark our position (someone saw a polar bear the other day, but only with binoculars, and in any case, a polar bear is an unreliable landmark). The flow of information is slower at sea – we check the Internet very occasionally, and for the most part, our world is the Amundsen. The one thing that remains is television, which is often playing in the crew lounge. This morning, several of us watched the Tour de France, and it was both brilliant and somehow very alien – in my case, cycling has been a huge part of my life for a long time, but now the concept of riding a bike up mountains in France seems surreal, like it’s part of a different world. That’s it for today. Tomorrow, stay tuned for this blog’s first Expedition Science Special! Day 11: Never mind that plan, here’s a new plan! Our present location, following a change of plans. Meeting Neptune has been postponed, because we’re not headed to the Arctic circle for the time being. 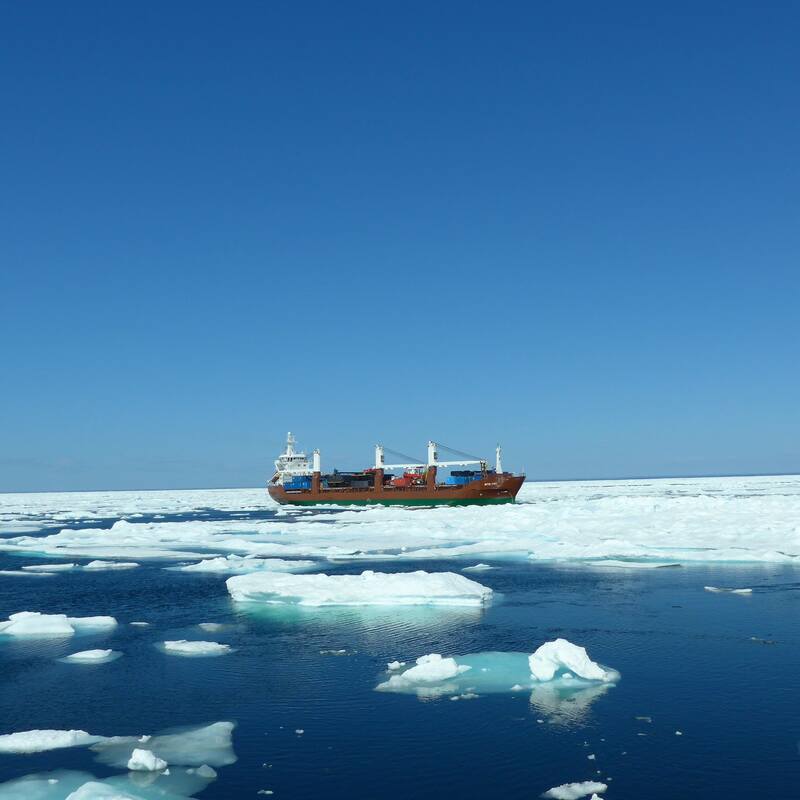 The ship has gotten called away by the government of Canada to help break ice for supply ships to the community of Inukjuak in the Hudson Bay. It was a strange moment yesterday afternoon when, in a placid sea with no landmarks until the horizon line, the ship made a hairpin turn and started heading south. The situation left us in a bit of a funny predicament – if we wanted to set up one of our ocean acidification experiments, we would have to stop the ship for as brief a time as possible, cast down two rosettes at once, collect all the water for the experiments as fast as we could, build the incubators, and set the whole thing up in a matter of hours. So it was that, after two leisurely glasses of wine with Sunday dinner, we suddenly mobilized into rosette action. Dr. Jay Cullen, one of the trace metal scientists on board, made a stop-motion video of our preparations (set to light classical music), which we hope to share shortly (provided the ship’s bandwidth can withstand videos set to light classical music). Meanwhile, we’ve run into ice and out of darkness. During our night of action, the sun didn’t set, so only the face of my watch was there to tell me that it was 3 AM as we were tying down incubators. At five thirty in the morning, as the sun rose – or, rather, got a bit brighter in the sky – filling the world with a deep pink, and the waves turned glassy and viscous and bright, our fingers finally fell numb and our setup was finally done, just in time for a quick nap before breakfast. Tonight, likely, we’ll see the stuck ships. We’re rapidly nearing the Arctic Circle. 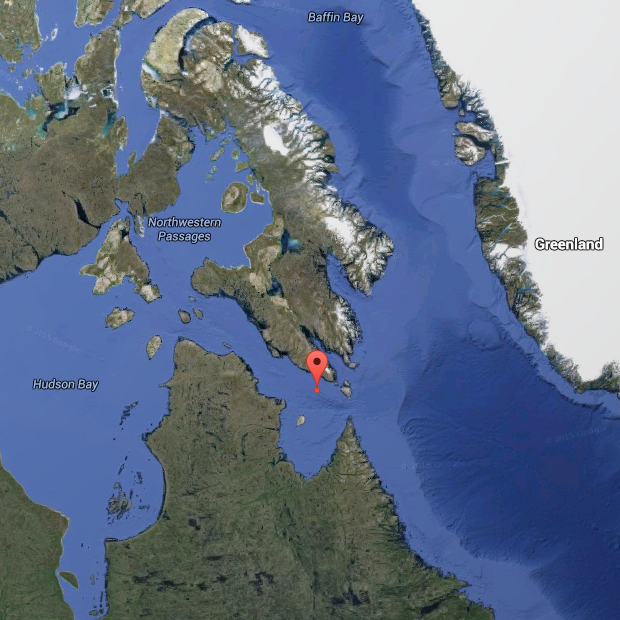 On Canadian Coast Guard vessels, crossing the Arctic circle (and the other two major imaginary lines, the Equator and the Antarctic circle) is a bit of an event. For us on the Amundsen, it involves “meeting Neptune”, and doing a series of tasks to prove our worth to him. In practice, this means being branded with a trident (using marker) and being given a paper fish and a raw egg to keep safe. The fish are the subject of many attacks from the “children of Neptune” (those who have already crossed the circle), and the penalty for losing one’s fish is singing alone in the mess hall, or the bar (we have a bar – more on that later). Some of the scientists have taken to casually clutching their fish at all times, which seems to be an effective way to safeguard it. (My own fish was lost in a rapid series of events at the bar, and getting it back involved singing Czech folk songs to 40 people, an interesting experience I’d just as soon not repeat.) Meanwhile, most people have built elaborate boxes to keep their eggs safe. 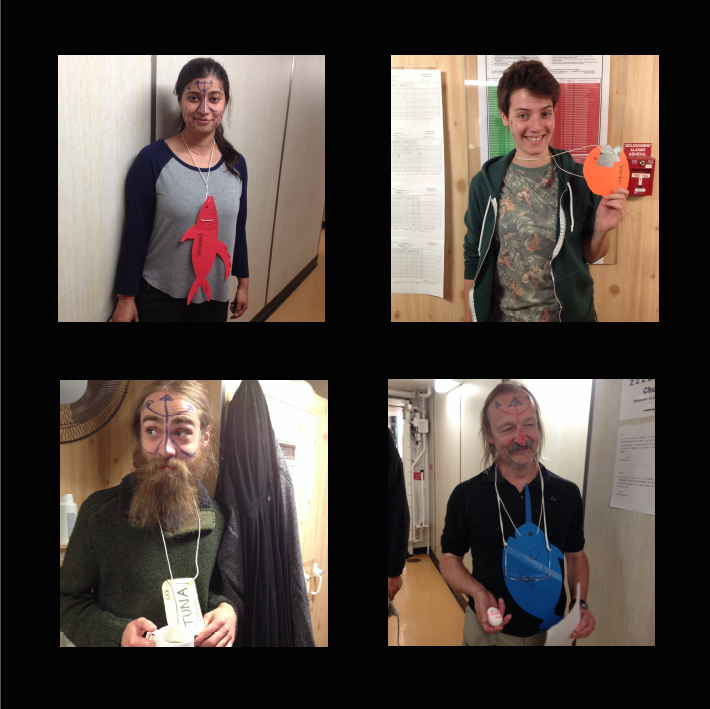 Scientists and crew sporting their fishy companions and (quickly) flashing their egg companions. We’re on our fourth day of the egg-and-fish thing, and just as the novelty of it all is starting to wear a bit thin, I’m thinking about what it must have been like when Neptune was real. This is to say – though the sea still commands the utmost respect and remains a vast unknown in many places, there is no longer the understanding that there is a god with a trident at the bottom of it, sending storms at ships. Reading the mythologies of cultures from around the world, from the Musqueam people of the British Columbia coast to the farmers of northern Europe, it becomes clear that it was relatively recently that such gods and forces were considered real (and therefore, in effect, were real) – not fairytales and “folklore” but critical landmarks in people’s understanding of the world. It must have been very different to sail then, into unknowns on wooden ships in worlds of sextants and tridents. Well, in any case, we’ll be across the circle soon, and in the meantime, we’ve finished our second station, most eggs and fish intact. According to the weather maps, we may be into the ice tonight. 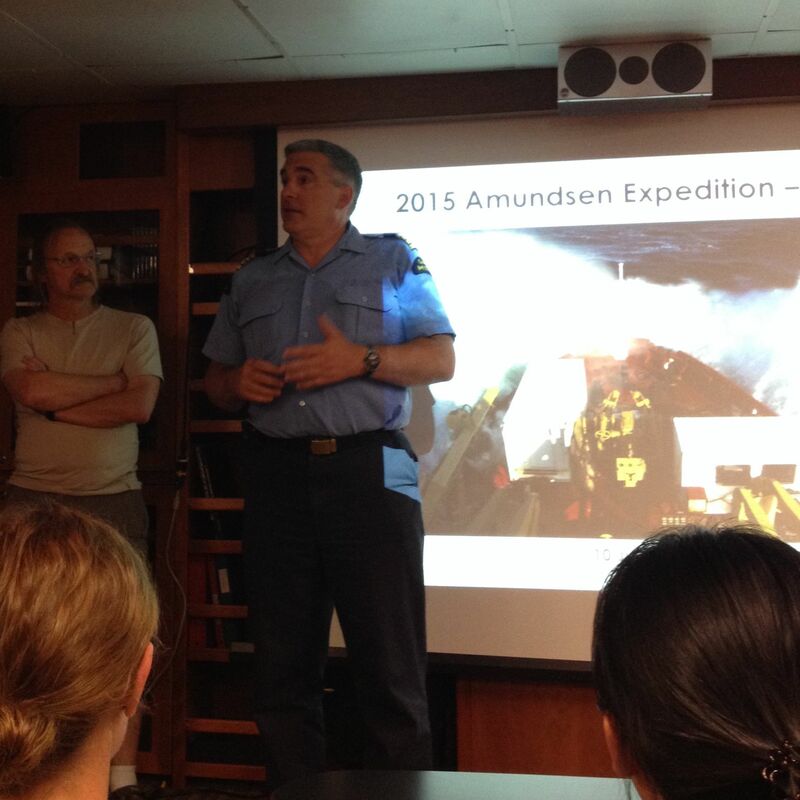 A momentous occasion: The Amundsen’s first cast of the expedition. Gas samples ready for analysis. At sea, periods of frenetic activity are often bookended by hours of relatively little to do. 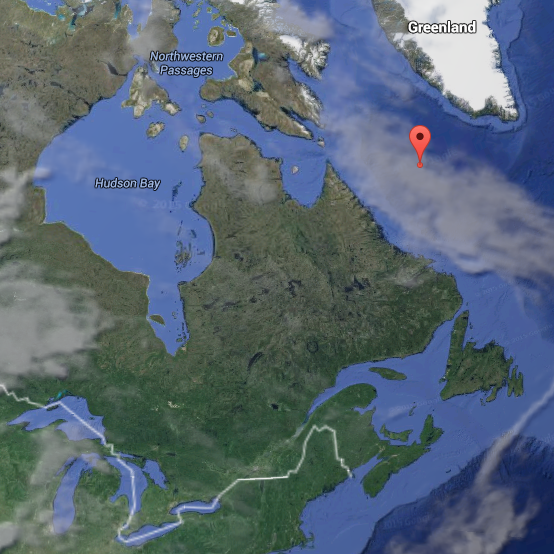 We’re currently in one such period, slowly making our way to our second station in the Labrador Sea. We’re taking the long way around, and moving very slowly, because the marine wind prognosis is showing 35-knot winds off the coast of Labrador, and we’re not particularly keen on being in the middle of them. So we’ve had an easy two days after our first station, which was a welcome rest after a midnight-to-midday marathon of coordinating sampling that left much of the science team sleep-deprived and grumpy. We’ve spent the time catching up on data analysis, reading, and sleep. My bunkmate Nina and I have started going for runs in the ship’s “gym”, which is essentially a closet with a treadmill, stationary bike, and rowing machine on the 5th inhabited floor of the ship. Personally, I normally quite dislike running on treadmills, but running on a treadmill on a ship that’s rolling in the middle of the Labrador sea provides an added challenge that keeps the endeavour interesting, and in any case, running wakes us up and cuts through the sleepiness that often sets in at sea – the rocking has quite a soporific effect, and with the absence of the fixed schedule that tends to determine our days on land, it becomes easy to take naps between work (Today, I woke at four in the morning, fixed my robot for three hours, and then slept through much of the day, and I’ll be up all night). Tonight, we’ll be interrupted in our relative leisure by another station. 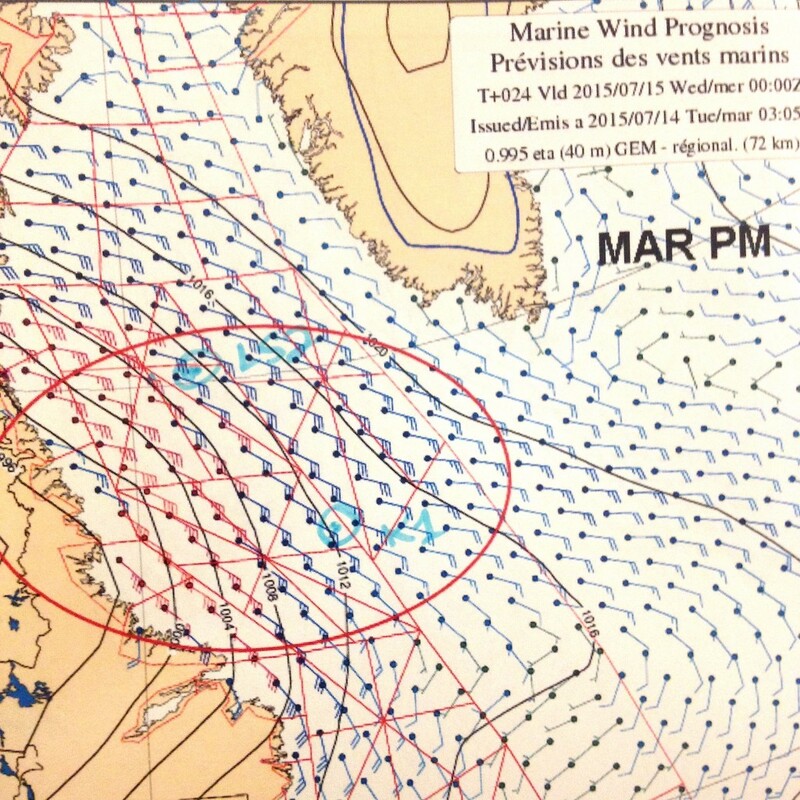 The marine wind prognosis from the Canadian Meteorological Service. We are trying to avoid the bit in red. Trace metal researcher Manuel Colombo in the trace metal laboratory. We are also preparing to cross the Arctic Circle. 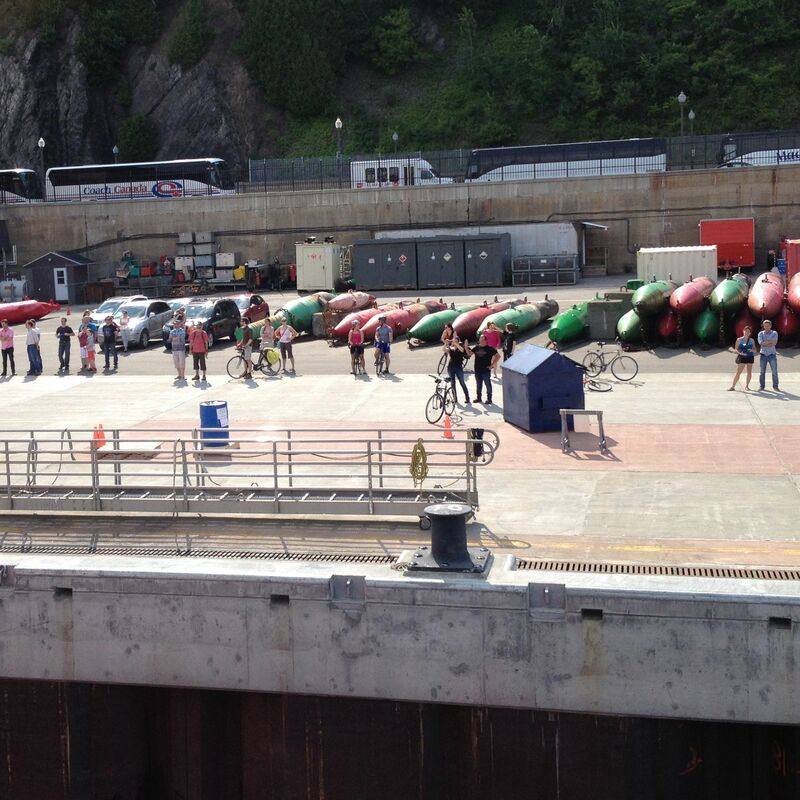 On Canadian Coast Guard ships, this is considered an important event, and the crew have been nudging each other meaningfully every time it comes up. There’s also been a sinister laugh on the intercom occasionally, which may or may not be related. The very prow of the ship. Coordinates: Unknown. I cannot make it to the bridge right now because of the wind, and my GPS is off – we shall see where we sail to tomorrow! 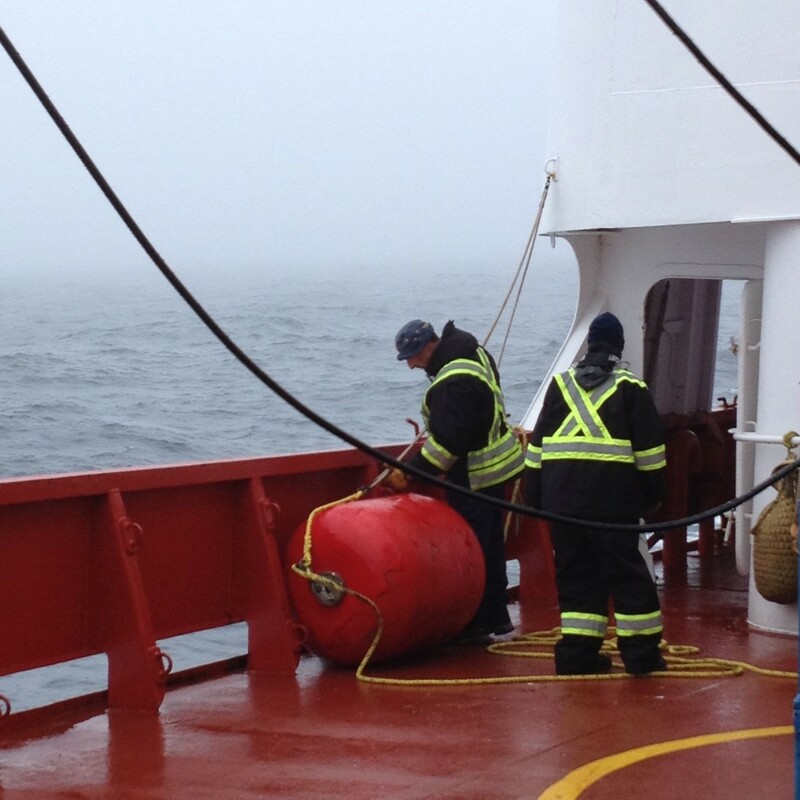 The ship’s maître d’equipage (boatswain) and crew work on the ship on a foggy Newfoundland morning. 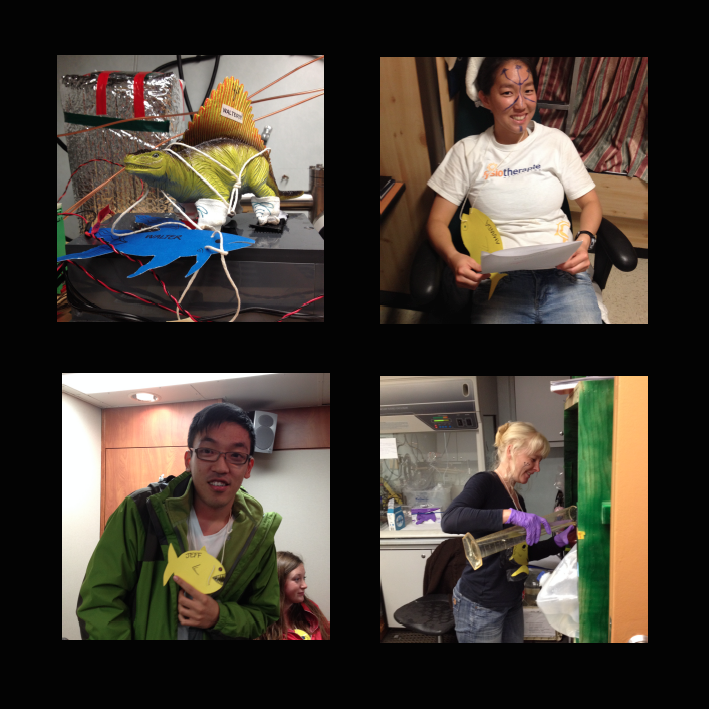 The day was spent mostly in preparation for the first station, which is coming up around midnight. During a day, we typically have one or two science meetings, during which we coordinate how to best use station time. This one was held to the sound of crashing cutlery in the officers’ mess next door, because the ship was rolling considerably. The coordination of station time is quite tricky – most of the time on a station is spent deploying a rosette (a device with bottles on a line that goes to various depths in the ocean and collects either water or various parameter data), and most expeditions have multiple scientific groups, almost all of whom need water from a given rosette, and time is limited. This leads to complicated compromises. The Amundsen has a fantastic workshop! Thomas and Philippe work on setting up GPS synchronization. At least for the science team, there are two main schedules on a ship: the meal schedule, and the science schedule. The meal schedule is constant: breakfast 7:30-8:30, lunch 11:30-12:30, dinner 5-6. The science schedule varies according to the weather, the abovementioned constraints, and many other things – for example, biologists often make 24 hour incubations, so they run a dawn-to-dawn experiment. Some other people might need to collect water in the middle of the night, others at midday, and often people are involved in each others’ experiments, so everyone runs on their own schedule based on need – there is always someone up, and there is always someone sleeping. In general, most people work quite long hours, and there are no weekends. The crew work in 12-hour shifts, from 6 to 6. My robot, when doing well, runs 24 hours a day, and I check on him often. By law, everyone on board is required to sleep at least consecutive 6 hours a night, which is tricky sometimes. I still have some hours of work to do tonight, so I’ll head back to the lab now. 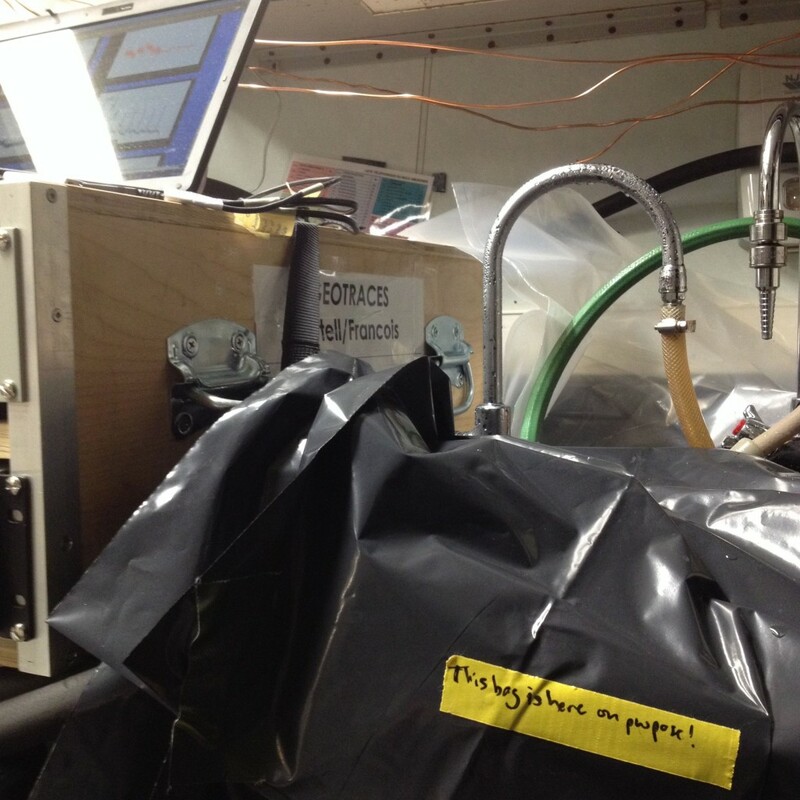 Sometimes, science is carefully placed garbage bags. We’re out of sight of land now, and it’s raining today, so the movement of the sea has started to become noticeable. It’s another few days to the first science station, so it’s time to coordinate plans for what to do when we get there. 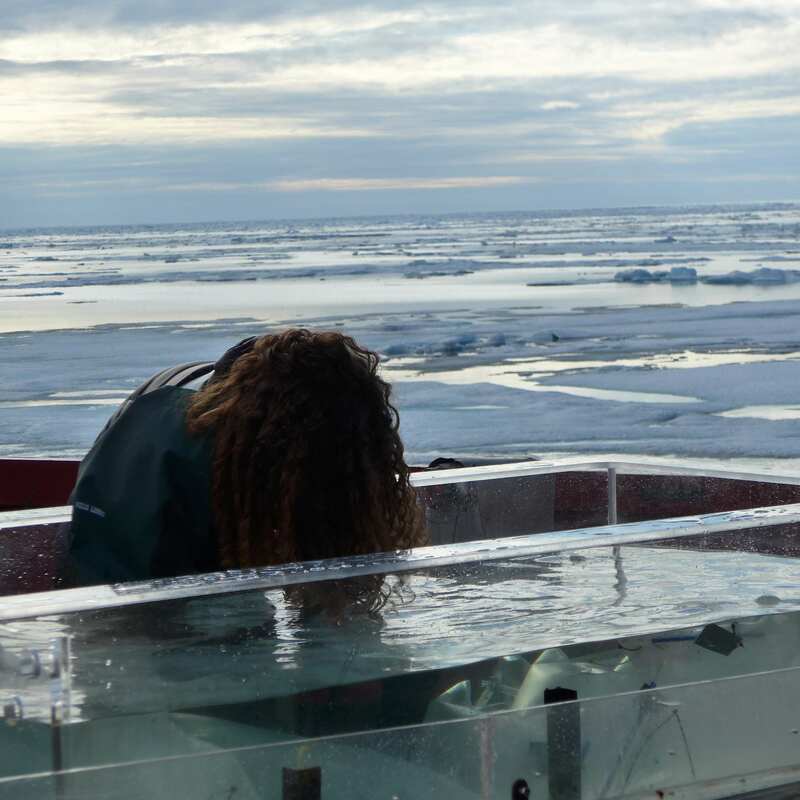 (A sidenote: In oceanographic fieldwork, much of the work occurs at ‘stations‘, which are simply places with designated coordinates where the ship stops to sample seawater and do experiments.) Therefore, we’ve spent a lot of the past few days in meetings and safety briefings. 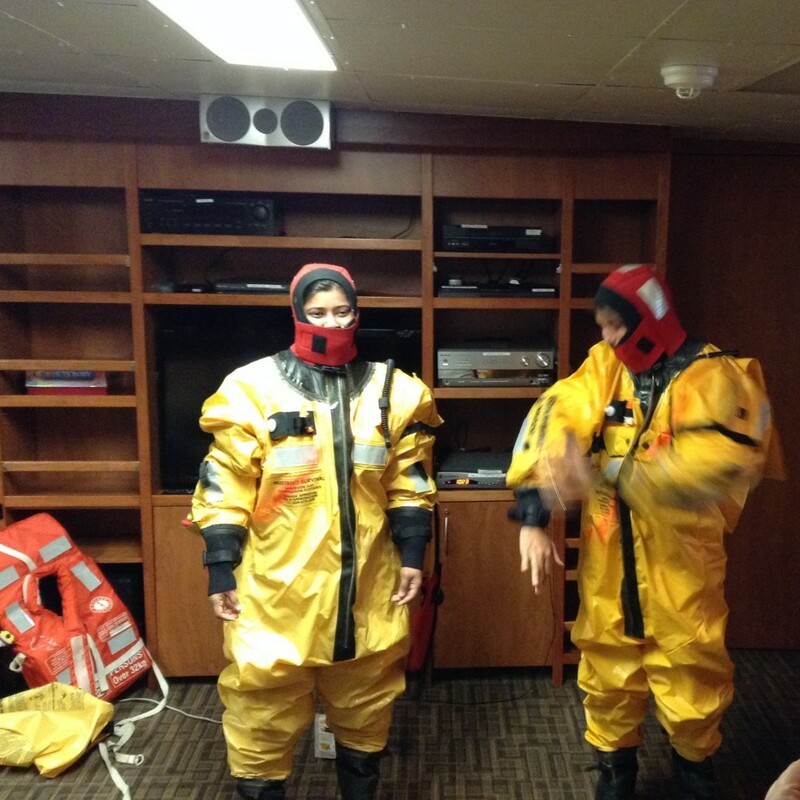 Safety is obviously rather important aboard an Arctic icebreaker, so we’ve had training on everything from helicopter use to septic system rules. 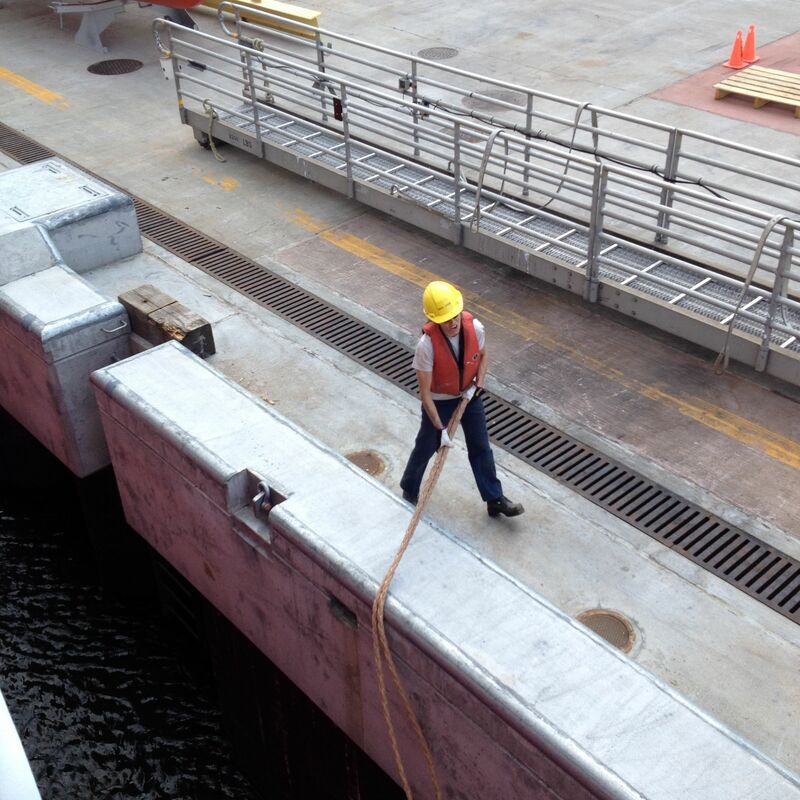 (The septic system aboard ships is notoriously fragile, and we were warned that if we broke it, it would be unpleasant. As of this writing, it is broken, and it is indeed unpleasant.) We’ve been told not to smoke in bed, tested the general alarm and been assigned lifeboat stations, donned immersion suits and been given roll-call numbers (I’m scientist number forty-one, part of team Golf.) Every aspect of life on board has a protocol and a plan in place, and we can’t help but admire the crew of the Amundsen for how smoothly they work as a team to keep the ship functioning. Meanwhile, there are seagulls circling the ship, and the wind is picking up. There’s a forecast for 30-knot winds once we reach the Labrador Sea, so we are preparing for a storm. 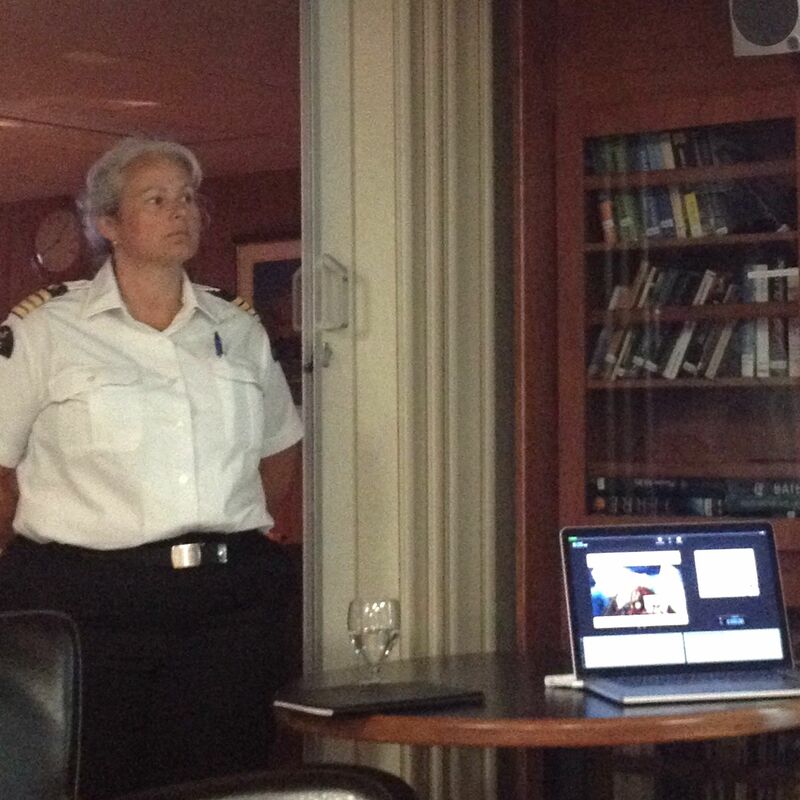 The ship’s Chief Engineer, Abigail Lachance. Roger Francois coordinating an emergency drill. Collectively preparing for the worst. Well, we’re off. The last day in port was spent much like the previous ones – boxes, problems to be fixed, a large amount of ratchet straps – but with a looming deadline. Our original sailing time of eight thirty (0830) was delayed to four thirty (1630). 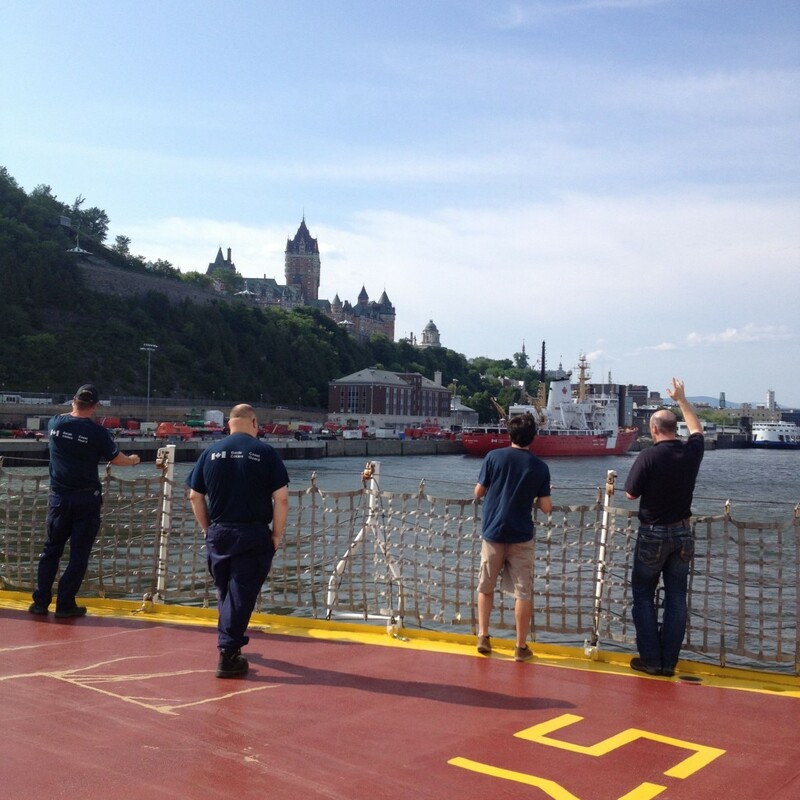 As the time neared, we all came on deck to wave goodbye to the rather great city of Québec, with its big castle and often-remembered plains and readily accessible fruits and vegetables. At 1630, with a cry of “Bon voyage et toute la confiance”, we were untied from deck, the Amundsen blew her horn, the Des Grosseliers blew hers in response, and we started turning north and east, up the St. Lawrence towards Rimouski and the Arctic. 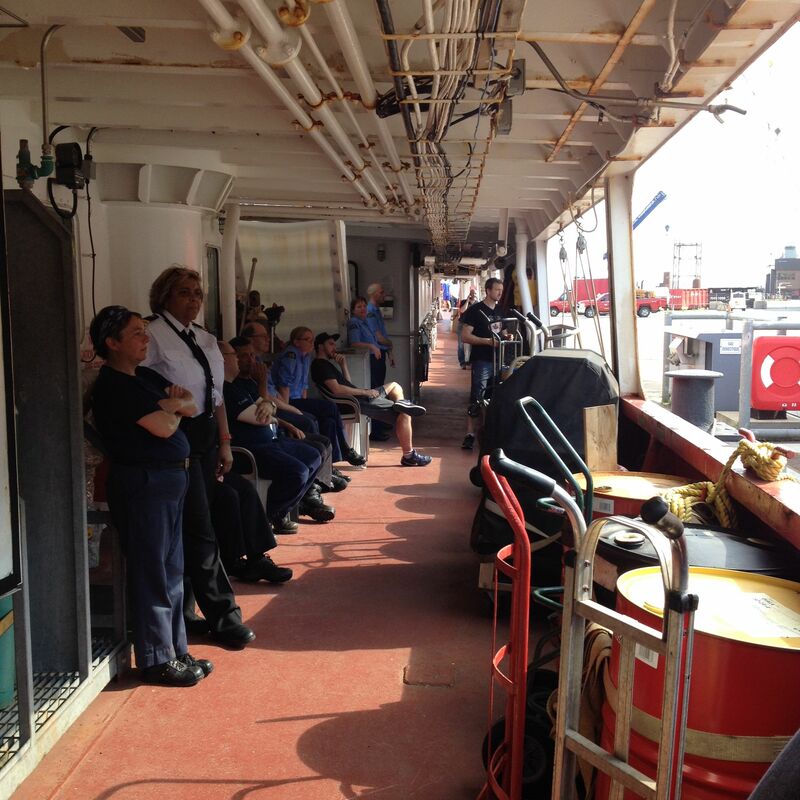 The crew of the Amundsen on deck to watch us embark from land. 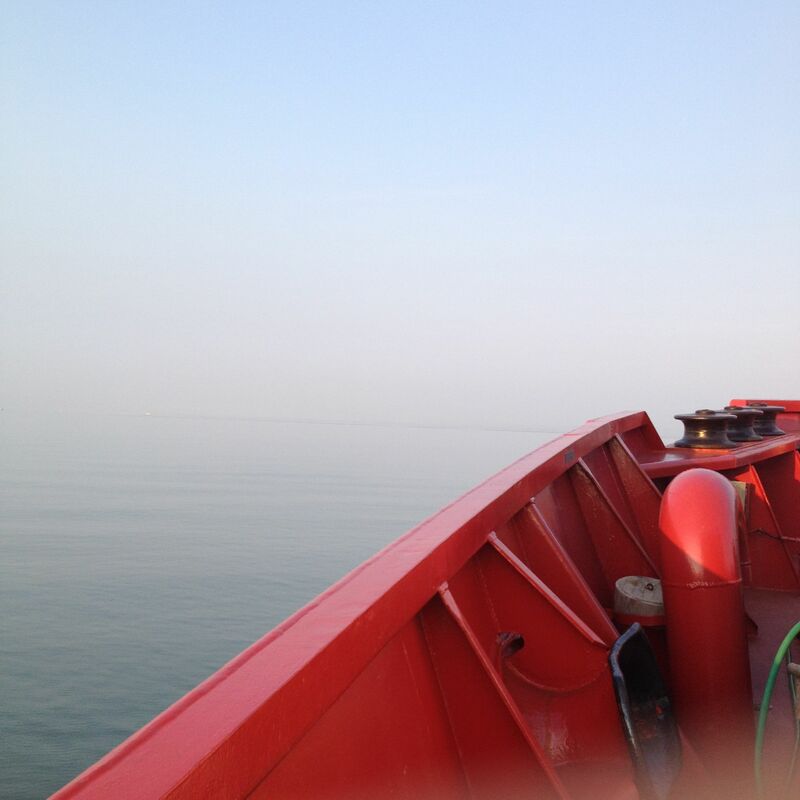 There seemed to be a collective exhalation this afternoon on deck when we drifted away from shore, because there was no more wondering what we’d forgotten. Then, pretty quickly, we dispersed again to continue our various tasks. The cityscape started giving way to rolling countryside, with fewer and fewer lights in the distance. Now we have several days of transit time up the St. Lawrence ahead of us before it gives way to open ocean, but before that, it’s my bedtime. We sail tomorrow. Today, we are running (walking quickly – you are not allowed to run on ships!) around in parallel, each fixing our specific problem. 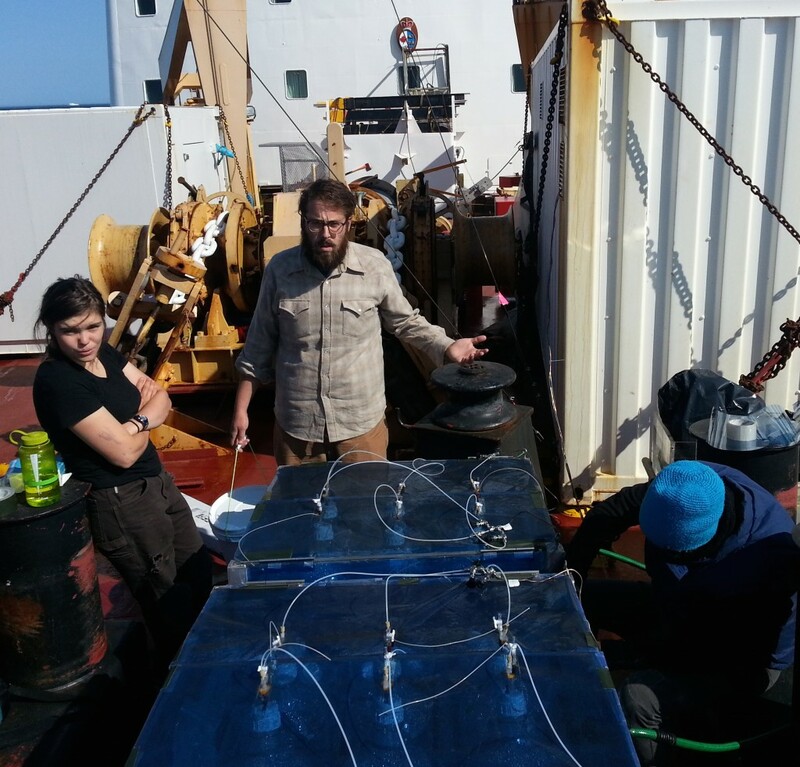 Dave has to build a very clean box that will allow him to measure very small amounts of metal in the ocean aboard a ship that is made entirely of metal. Nina is making an incubator for her phytoplankton and trying to get it to fit. Maureen has high-volume pumps, the Rimouski team has a gas chromatograph that needs setting up, and the group next to me keeps mentioning a “parallax error”, whatever that is. 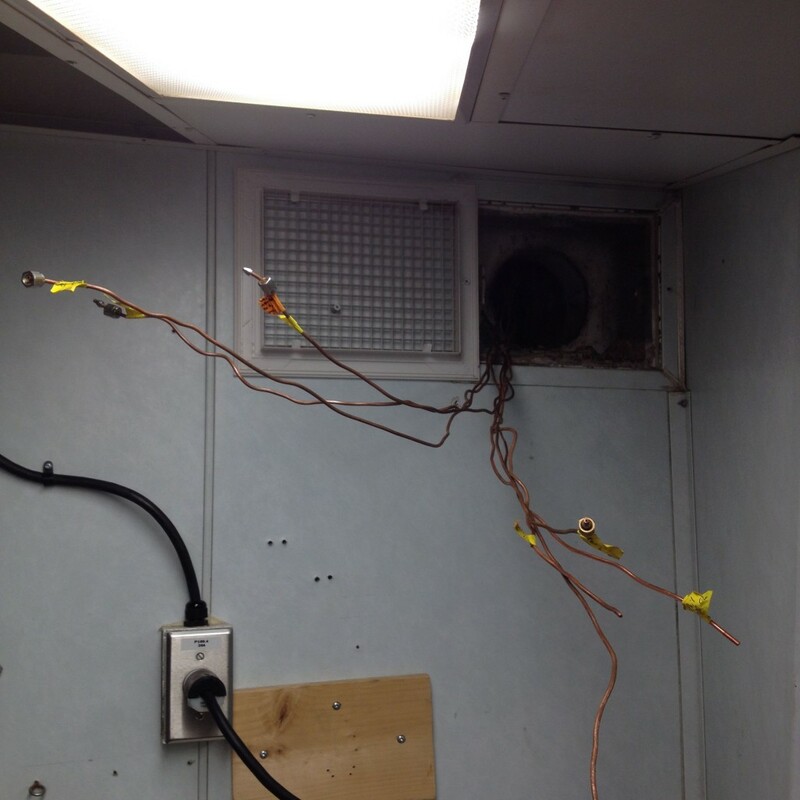 The sampling system’s electrical cable is out of order. I am trying to communicate with my robot. 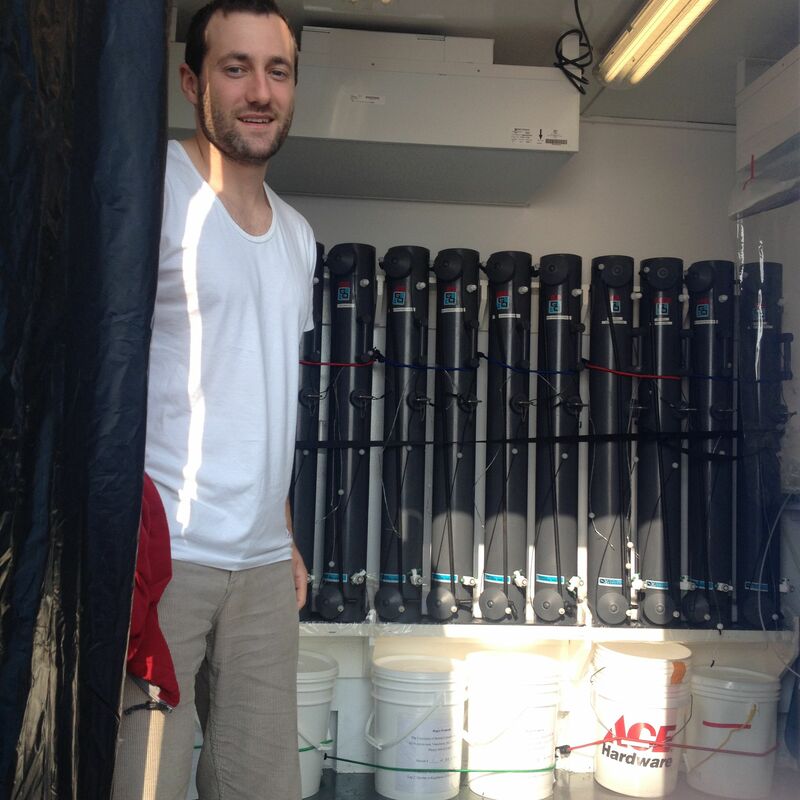 Expedition scientist, Dave Semeniuk, adjusts fittings. After 4 hours of work, we have gas lines! 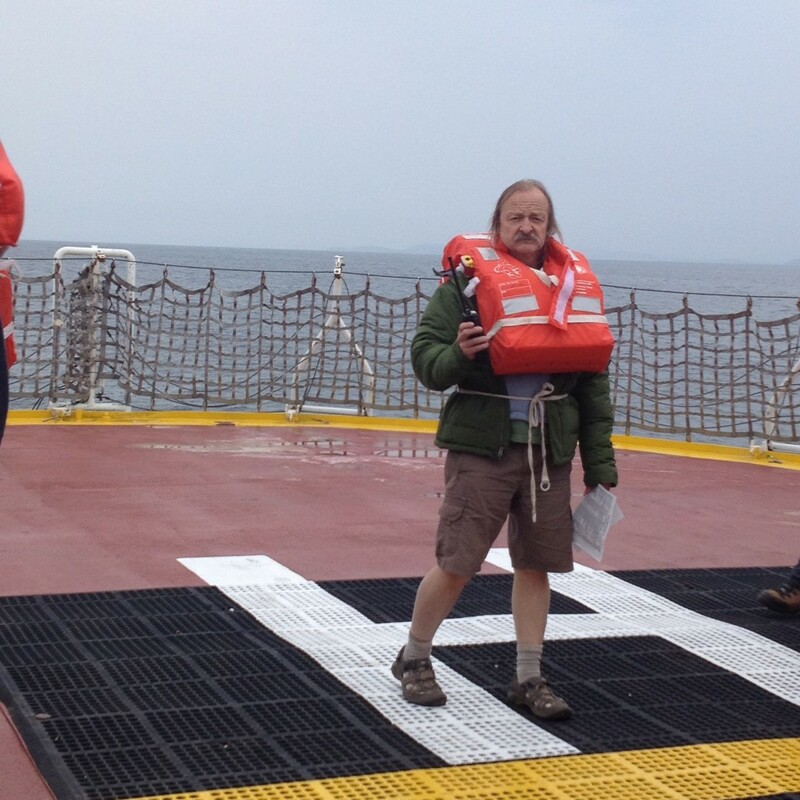 Parallel to the scientists, the ship is entirely changing crew – the crews of the Amundsen work in six-week shifts, so the crew that has been on board with us is not the same as the one that will come to the Arctic. The wood-lined narrow halls of the ship are therefore littered with everyone’s personal belongings as we move in and out of our cabins. No one really says much about it, but there’s a feeling of a collective deep breath. The Amundsen sails in remote waters often, and many of the people on board have done voyages like these many times, but nevertheless, we are heading pretty far out. Tomorrow, we go north, and for six weeks, we rely only on what we have with us. We’ll be going to bed late tonight. The Amundsen in port at night.